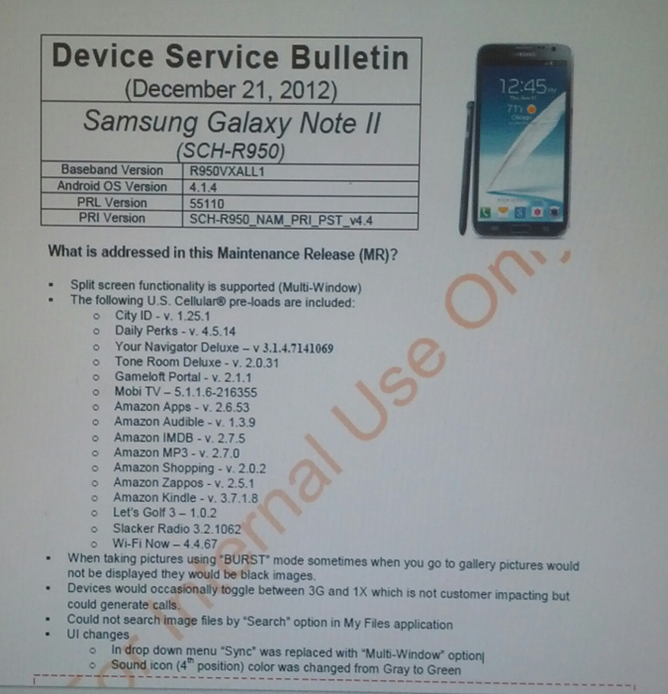 US Cellular is issuing an update to their variant of Samsung's Galaxy Note II, bringing the baseband version up to R950VXALL1. The headline feature with this update, as may be expected, is multi-window support. That's not all the R950VXALL1 package brings, though. The update, besides evidently bringing the device up to Android "4.1.4" Jelly Bean (did you mean to say "4.1.2" there, USC? ), brings an armload of bug fixes, from a "Burst Mode" camera fix to occasional toggling between 3G and 1X, to minor UI changes including the replacement of the notification shade's "sync" button with a multi-window shortcut and a makeover for the phone's Sound icon, switching from gray to green. Here's a look at the full change log. 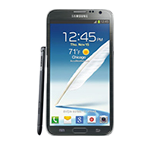 If you own a US Cellular-connected Galaxy Note II, you know the drill – head into Settings and simply tap About Device > Software Update and follow the prompts. Thanks for the changelog, anon!